Miss Amanda McDonald will also be our guest speaker for the evening and will talk about our Curriculum and service goals for 2019. On conclusion to the meeting, parents and families will be invited to provide feedback regarding our service policy document which will be reviewed by March 2019. This is a great prospect for families to invest their opinions and preferences into the future of our service. Nibbles, tea & coffee will be provided, we hope to see you all there. On Saturday 6th October we had a very successful Open Day to raise funds for the Indigenous in Sports & Recreation Foundation ( www.isrf.com.au). We invited local communities businesses to hold a stall at our Community Markets or donate a prize for our lucky draw prize. In total we raised $272.00 for the foundation. Thank you to everyone who joined us and helped us make the day so fun and successful. On Friday 31st August 2018 we had an awesome turn out this afternoon for our Fathers Day BBQ (bummer that miss Cas did not take a pic while everyone was in attendance). We had between 20-25 awesome dads, grandads, super mums and some pretty chuffed children who were so excited to see their families getting along and having some laughs. Thank you so much for everyone who came and spend the arvo with us, this truly was the best Fathers Day celebration we have had and we look forward to an even better and bigger bbq next year. November the 4th was our Open Day and also a day dedicated to the Indigenous Sports & Recreation Fund. We had over 20 local business hold a stall and over $1k worth of prices donated for our raffle. A huge thank you to all our wonderful families who came and celebrated with us and all the incredible, kind and giving businesses who donated to the day. Awesome shout out to Miss Kayla for dressing up and playing Nurse also. We had a great morning and last session in wrapping up our Emergency Services month!! Here at Regents Park Kindergarten & Child Care we are committed to closing the gap in Early Childhood Education. Please join us for a morning to remember and commemorate the mistreatment of our Australian Aboriginal and Torres Strait Islander people. Resident Elder Uncle Barry Watson will be leading the ceremony and our children will be performing a song. p Our Easter Bonnet Parade was a fun success on Friday 7th April. Thank you to all our families and friends who joined us for the morning. Congratulations to Anastasia for selling the most Chocolate boxes and winning the huge Cadbury Chocolate Hamper. During our orientation week we will be open to the public from 9am-12pm and are inviting new families to enrol during this week for 2017. As a way of saying thank you for your business, all new families that enrol during this week will receive one weeks fees FREE. Do not worry though, we have not forgotten about our beautiful and loyal families and would like to reward any enrolled referral with a 20% off your fees also. So what are you waiting for? Pop the dates on your calendar at home and we will see you soon. Our 2016 Open Day was a huge success with a great community turn out and support. We had a few special guests for the day including Uncle Barry Watson and Torrita Isaac who hold the world record for the para-Olympian 400 meter track and field event. As always all funds from the day went towards our charity of choice which is the Indigenous in Sports and Recreation Foundation which is a small foundation which has been proudly responsible through financial contribution in seeing young and talented Australian Indigenous Athletics attend and participate in professional grade sports both here in Australia and overseas. The foundation needs our help and as always we are very quick in doing anything we can. On Friday 23rd September 2016 we held our annual Vacation Care Pirate Open Day and boy did we have fun. We had a special appearance from Itty Bitty Stars and all sorts of fun and fantastic pirate craft and adventures. Thank you to all our families who spent the morning with us and to all our special guests and new families who enrolled with us on that day. Everyone meet Hope 🐨🍃 Hope is 1 years old and ever so cute! The children LOVED the koala show this morning, everyone was so excited. A huge thank you to Max and Marilyn for visiting us today, our day has been made. Since early January 2016, Miss Steph has been working really hard at raising funds for the Leukemia Foundation’s Shave for a Cure. Stephy is passionate in working with the cause as she has experienced some heart ache of her own with relative’s dear and close to her suffering from Cancer. On Saturday 12th March Stephy shaved her 70cm+ beautiful hair off and raised a grand total of over $2,800.00. It was a great day had by all and even included a surprise Wedding Proposal by Stephy's boyfriend. Thank you to every one who participated in the day or supported Steph in raising the incredible of money. We truly could not of done it with out you all!! 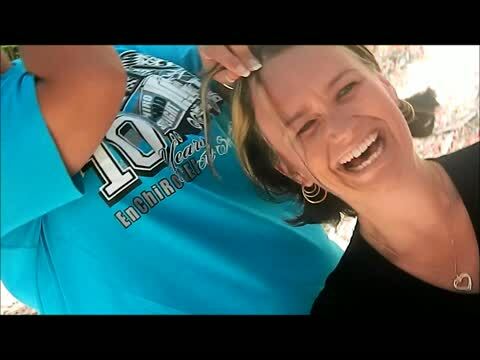 Chec out the clip below to see how our brave Miss Stephy shaved for a cure! This month we are offering a referral program. Refer a family to us and once they enroll we will thank you with a $50 Event Cinema's gift card. Our Superhero Open Day was a huge success and we had so much fun. Thank you to all our best friends and awesome Educators for dressing up and helping us celebrate. Keep your eye out for our up and coming Millie's Fun Day which is October 31st. In early September we got together with our families and baked our little hearts out for a Home-bake sale for Millie, we are super excited to announce that we raised $585. Thank you to every one who supported us in achieving this huge total figure, we will let you know what Millie's mumma has put the funds towards. To date we have raised over $1600.00 for Millie and her family. On Friday 3rd July 2015 we hosted a Pirate Party/Open day and boy was it a fun success. The party was jam packed with a jumping castle, face painting, pirate themed craft, pirate themed party games, treasure hunts and with lots of entertainment thanks to Captain Rob and the Regents Park Outside School Hours Care OSHC Dance Team. It was a great day had by all and every one even recieved a Party Bag to take home. Check out the pics below and make sure you mark our next Open Day party in your diaries which is Friday 25th September 2015 from 9am-12pm....SEE YOU THEN!! On Saturday 14th March we will be joined forces with our family, friends and local community to raise funds for a brave and special little girl. Millie lives and suffers from Cerebral Palsy and her mum and dad need as much financial help they can get to ensure Millie attends as much beneficial treatment as possible. 2015 we are going to do everything we can to raise as much money as we can for Millie and this event was a huge success, we raised $674.50. Keep checking back in with us to see when our next event is.